Grey's Anatomy Promo: Meredith is Smitten! Meredith is smitten in the promos for Grey's Anatomy Season 14 Episode 17. You know what? So am I! 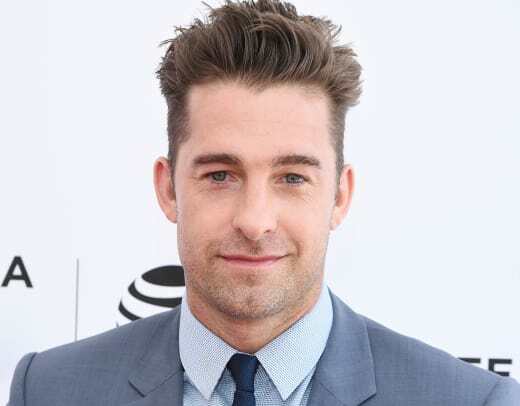 Animal Kingdom fans may be relishing (or mourning) the sight of guest star Scott Speedman. Personally, he'll always be Ben Covington me. I was more of a Team Noel girl than a Team Ben. Coincidentally, the other dashing Scott from the epic Felicity, Ben, Noel love triangle had one of the most memorable roles of Grey's Anatomy ever as Henry. Scott Foley made the move to Scandal, but hopefully, Scott Speedman will be sticking around. 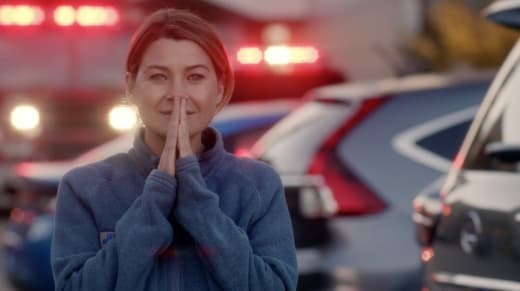 If you watch Grey's Anatomy online, you'd know that Meredith has spent the past couple of seasons mourning the loss of Derek. It was a tough time for her character and many Grey's Anatomy fanatics, but when Martin Henderson was added as Nathan Riggs, she finally made strides towards moving on. Once that ghastly love triangle was smashed to bits, Meredith and Nathan were able to bond over the loss of their loved ones. They had a nice thing going for them, and it looked like Meredith would finally have a new love in her life, but Megan Hunt rose from the dead and brought an adorable kid in tow, and Nathan finally got the happily ever after he had been craving for years. Meredith has thrown herself into her work and her kids, and she admitted to her sisters that her sexual needs are met with battery operated devices these days, but she's long overdue for a nice guy in her life, don't you agree?! Speedman will play a world-renowned transplant surgeon too, except he's under the tender loving care of Meredith for some undetermined reason. 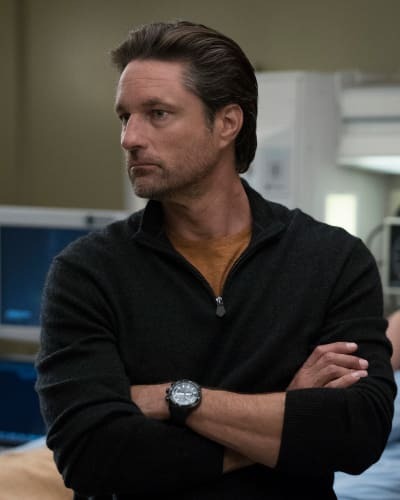 Related: Martin Henderson Leaves Grey's Anatomy! They are flirty and giggly, and I'm giggling too, so join me in all of this giggling, cute action. Check out the promo below! Are you ready for Meredith to find love again?! Do you think it's time for her to move on? What do you hope to see from her romantically? Is there something you hope to see that you didn't see with Riggs? Don't forget to hit the comments with your thoughts. Grey's Anatomy Season 14 Episode 17: "One Day Like This"
Grey's Anatomy Round Table: Will Owen FINALLY Find Happiness?! Faith wouldn't be real faith if you only believe when things are good. Permalink: Faith wouldn't be real faith if you only believe when things are good. Tell me I didn't screw this up, Dr. Grey. Tell me I'm not about to lose a kidney. Permalink: Tell me I didn't screw this up, Dr. Grey. Tell me I'm not about to lose a kidney. Grey's Anatomy Round Table: High Praise for April and Eli! Grey's Anatomy Sneak Peek: Meredith Meets a Handsome New Doc!